I want to help you see as well as you possibly can, and this may include updating your glasses. 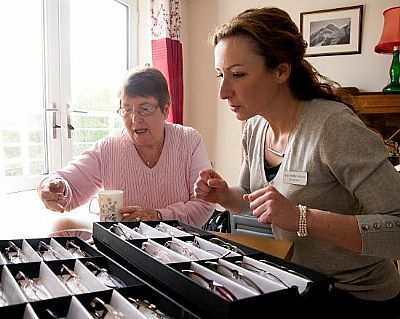 When I'm on a home visit, I carry with me a wide range of frames, from budget to designer, and can supply a complete pair of glasses from as little as £50. There will be over 100 stylish, contemporary, comfortable styles to choose from. These will include styles available free if you receive help with the cost of your glasses. Who gets help with the cost of their glasses?